In 1990, a concert was held in New York at the Yankee’s Stadium. This was the first time in the history of the stadium that a rock concert will be held there, the person responsible for setting that record is none other than the legendary Billy Joel. Here is everything you need to know about the legendary musician and how he achieved so much in his career. On the 9th of May in 1949, Howard and Rosalind Joel had their first child, William Martin Joel. He was born in the Bronx and spent his childhood on Long Island. His father was a Jewish immigrant from Nazi Germany who came to America through Cuba with the rest of his family while his mother was born in America; her parents were also Jewish immigrant as well. 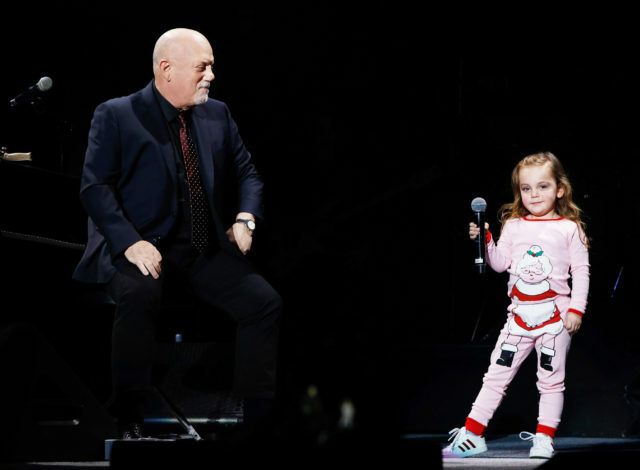 Billy Joel’s father was a pianist and engineer and by the time he was seven years old, his mother signed him up for piano lessons, which he attended grudgingly. He attended Hicksville High School and in the year 1967 he was supposed to graduate but did not have all the required credits to graduate, choosing to face music, he left high school. However, 25 years later, he wrote to the school and was granted his diploma. Billy Joel in his teenage years had a stint in boxing which he got into to protect himself; he competed in amateur games and won twenty-two of his twenty-four matches. By 1957, his parents got divorced and his father returned to Europe because of the disdain he felt for the consumerism that was prevalent in America. In his time abroad, he remarried and had a son, Alexander Joel who also ended up being a musician; he worked as a Classical Conductor. Billy Joel’s musical career began while he was in high school, he worked at a bar playing the piano to support his mother which is what affected his grades. But it was not until he saw a performance of The Beatles did he decide to pursue a career playing rock music, his first step in that direction was to join the band, The Echoes. He played with the band from 1965 till 1967 before joining another band The Hassles and then created a duo, Attila with Jon Small. By 1971, when he was on tour with a new band, his music became more popular. His first album had been a commercial failure for reasons owing to the production of the songs however, it was the live performances he staged with the songs that made him gain popularity. In 1972, he got signed to Columbia Records fulfilling the promise he made to himself when he found out he will not be graduating from High school. He has created hits such as Piano Man, Tell Her About It, Just the Way You Are, Don’t Ask Me Why, To Make You Feel My Love and many more songs that have been global hits. He has been the recipient of five Grammys and has been awarded a number of honorary degrees. Billy Joel remains one of the greatest musicians of all time and this is because of the work he puts into his craft and the immense talent he possesses. Billy Joel has been married four times; the first time was to Elizabeth Weber. Their relationship started as an affair which she called off when her husband who was in a duo with Joel, found out about them. By 1973 they got married; she also worked as his manager and was the inspiration of two of his songs. In 1982, they got divorced. Joel’s second marriage was to Christie Brinkley, a model, with whom he has his most popular child, Alexa Ray. She is named after Ray Charles who is one of the musicians Joel admires greatly. Joel and Brinkley got married in 1985 and by 1994 they had split up. The 2nd of October, 2004 was when Billy Joel got married to Katie Lee. Katie Lee has a career in the food industry as a food blogger and critic. Their marriage was over by 2007. His current wife is Alexis Roderick, she is an equestrian. They got married on the 4th of July, 2015 and have two daughters together. Billy Joel has been largely successful in his music career that has lasted over five decades. Additionally, he has other business ventures which he runs, all of which has made him a very wealthy man. All of these have contributed to his net worth that is estimated to be $200 million. A great musician indeed, but sadly, his height isn’t so great as he stands at an average height of 5 feet 5 inches tall which is 1.66 in metres.